I made these this week for one of my clients, and was legitimately sad that I didn’t get to eat them. I suppose I could always just prepare them at home right? If you’re pressed for time this meal can easily be prepared ahead of time by roasting the sweet potatoes, boiling the chicken, and making the ranch over the weekend. Then just throw it all together when you need a quick dinner! This is a great kid-friendly paleo dish. You can make this Whole 30 by getting some sugar-free BBQ sauce, or just leaving it out. Halve the sweet potatoes and roast cut side down for 30-40 mins, until soft. In a bowl, shred the cooked chicken. Add ranch, celery, and green onion. 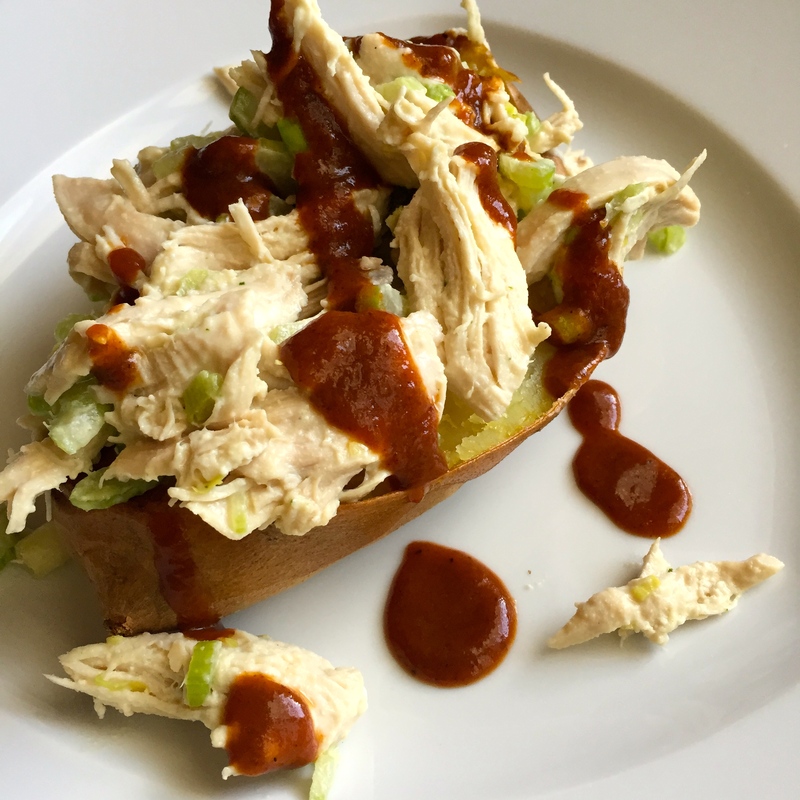 Top the potato halves with chicken mixture and drizzle with BBQ sauce!